There’s a variety of reasons why a saber choreography class may use an LED saber. 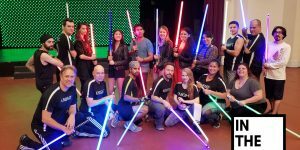 As we combine aspects of saber choreography along with Yoga, Movement, Meditation, and Dance, we utilize the LED saber because it helps us in a variety of ways starting with the “hero” or “villain” we picture inside ourselves. It gives us a chance to connect with that inner child that was obsessed with being the hero/villain of their own personal story. We all still harbor the hero within our hearts. Without sounding too poetic, it is also known as Anchoring in Neuro-linguistic programming. By utilizing an object and putting yourself in a mind space for it, it induces one to go into a certain mind-set or state of consciousness. An easy way to look at this would be every single time a fireman grabs his jacket and hat. When they grab it and put it on they get themselves ready in their mind for the challenge that comes ahead. The same can be said for the police officer putting on his badge. 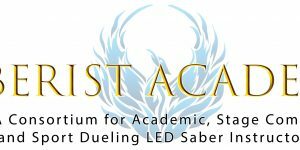 Safety – By utilizing an LED saber, classes tend to be safer. We do not use heavy foam sabers or blunt weapons. There are no blades. The LED sabers tend to have a slight flexibility to them as well so in some cases they give away. Brilliance – As we are swinging the Sabers, student can easily see them coming because of their Brilliance. Brilliance, once we dim the lights and put up the music you need to be able to clearly see where each person is in class. Because the LED saber is so brilliant one can look around the room and see exactly where each student is. 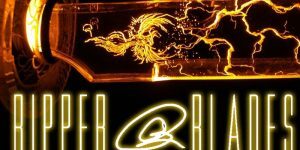 Glow-stick – Part of being in Miami and part of what we do is establishing a connection to the music. With an LED stick one can then go into a dance performance very similar to how it would be done at a rave or at an EDM concert. Elegance – the LED saber is in a is an gorgeous prop. The sleek aluminum, the brilliant lights, the cool touch, the weight, and many other details really make the LED saber the choice tool for SaberCraft. Note: we do not use sounds related to sabers as they tend to be extremely distracting in class environments. Lightweight – Weighing less than a pound they provide a very versatile tool. Variety – There are a variety of hilt and colors available. Because of that one can express themselves however they see fit in our classes. This goes beyond what color is deemed “good” or if a color is deemed “evil”. It’s simply colors – Colors and connections. So as you can see, there is a variety of reasons why one would use an LED saber for this type of class. 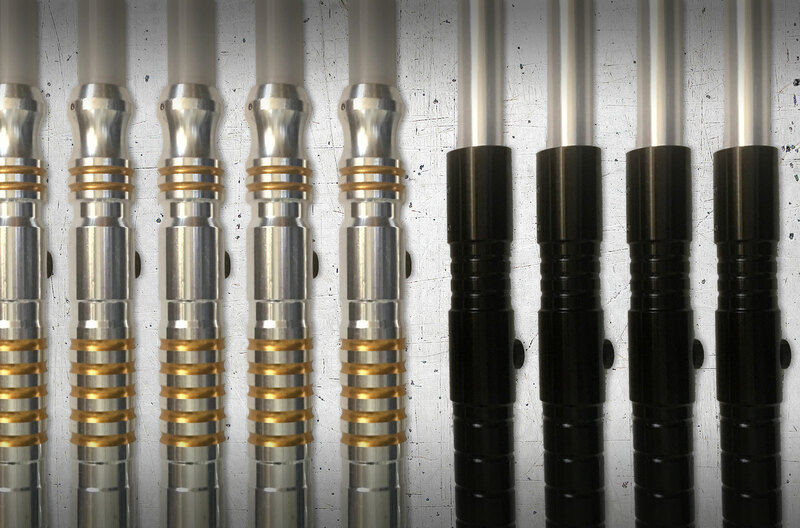 What’s the difference between an LED Stunt Saber and a Lightsaber? Simple, a lightsaber is a fictitious weapon from the Star Wars saga that can cut through most things in the galaxy and it was powered by the Force through crystals. An LED Stunt Saber is a real manufactured saber for saber-hobbyists and martial artists. It is usually powered by batteries and cannot cut through anything as it a blunt item. SaberCraft has the largest selection of LED Sabers available to the public for any class in the Southeast US. Come by if you’re interested in learning more.